It's really easy for me to fall into a makeup rut. I might actually live in a makeup rut. I'm a black eye liner, red lips gal and everything else sort of works around that. A few years ago, I bumbled around a Sephora looking for blush that actually showed up on my skin. Until that point I didn't realize that I needed something super pigmented as brown skin eats color. I walked away with some shockingly orange blush that actually made my face look perfectly sun kissed and perky. Not to mention it goes amazingly well with my bright red Ruby Woo lips. Needlesss to say I've been wearing that color for ages and though I've since bought a ton of blush (mostly Nars), I haven't really been wearing them. 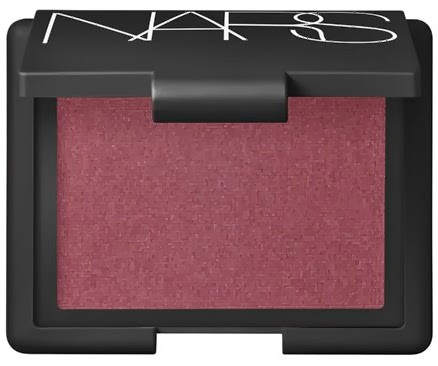 The last few weeks I've been grabbing for my Nars Blush in Seduction because as I've been switching up the reds on my lips this deeper shade on my cheeks compliments so well! I'm also a big fan of Taos, subtle tint changes can really pop your lipstick! I want to be more adventurous with my makeup routine. What are some of your favorites?